I could totally shop there. me a herd of mooses to use at home. Love the quaintness of the photo and it totally called for a moose. Of course it needed a festive bow. And how about those marshmallows in the hot cocoa. and I may have missed (get it). LOL. is a PL card that says "It's the little moments that make life big." AND journaling can be added to the back. 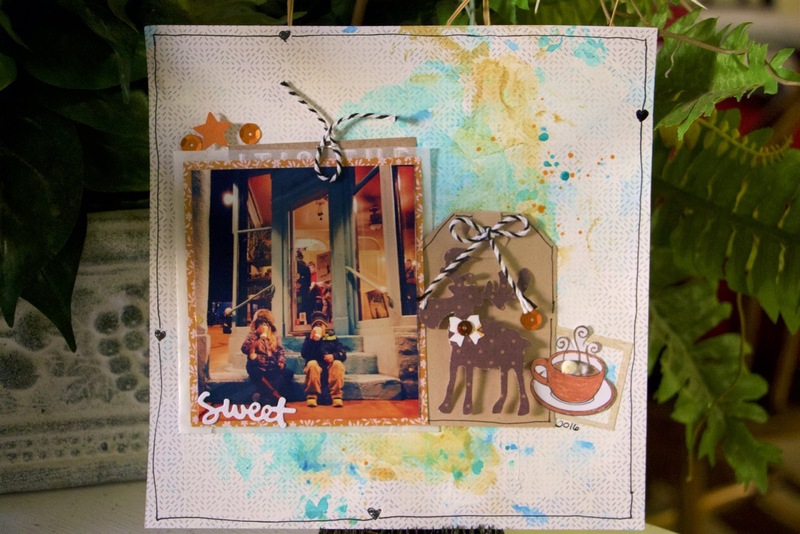 Studio Calico, Heidi Swapp mists, HL stamp, QK tag and frame. Great way to use a tag. Super cute!! !